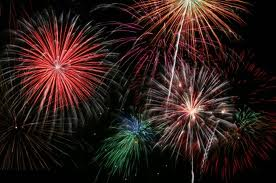 Whether you choose to attend one of these amazing events, or to celebrate with family and friends in the comfort and convenience of your own backyard, keep in mind the reason for our celebrations....the Independence of our great country! We were built on the foundations of individual rights, freedom, equality and justice for all; and we need to protect those rights for the generations who will come after us. So Thank the Military men and women for their service and sacrifice, and keep the reason and spirit of the day with you in whatever you choose to do. 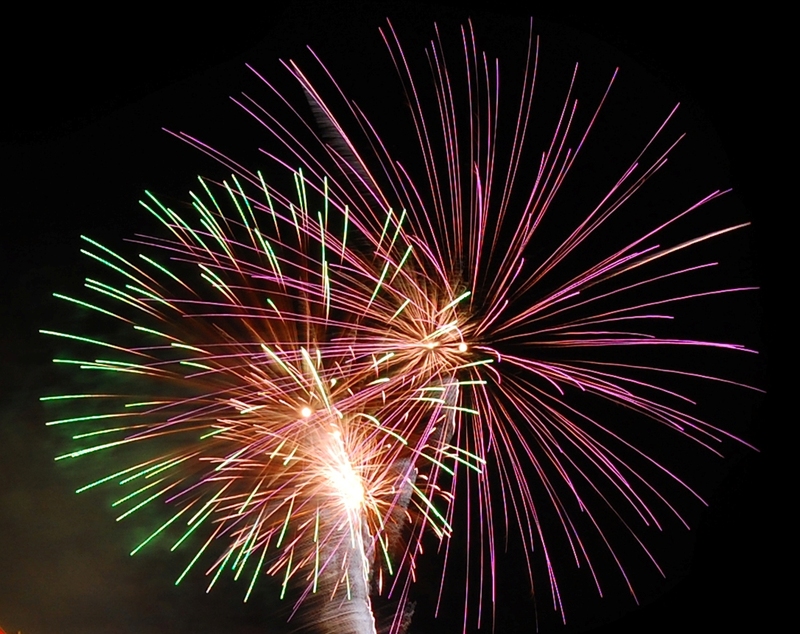 And, from all of us at The Rullo Team.....have a SAFE & HAPPY 4TH OF JULY! Date & Time: The event begins with our Savor-the-Flavor food vendors which begin to serve an assortment of treats at 5:00 p.m. and continues until the Sky Concert begins at 9:30 p.m. (weather permitting). Additional Information: There is additional audience space on the Batavia High School athletic fields on West Main Street. If you are interested in more information about the benefits of home ownership in the Fox Valley Area please contact a real estate professional with the Rullo Team. Two more projects will be completed after this first one, and should be completed by 2017. 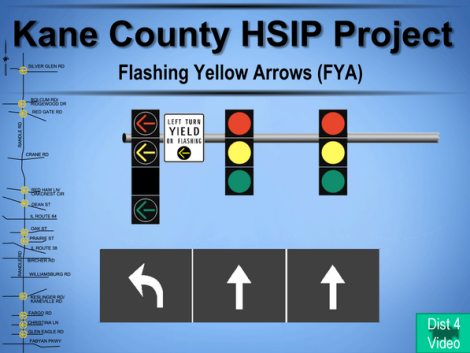 For information on how these flashing yellow left-turn signals have been successful at reducing fatalities and accidents with injuries, and video for a full verbal and visual explanation, visit the Kane County Connects website. Listings were up just 3% over one year ago but almost 20% from the previous month! More and more listings seem to be entering the market everyday and that is great news to buyers who have seemed to outnumber our sellers up to this point. We are looking for a strong showing of new homes on the market for the June/July market months. As always, we'd love to talk with you about the value of your current St. Charles or Fox Valley Home and how The Rullo Team will market your property to give you the highest selling price in the lowest selling time. Give us a call today! ABC Ch. 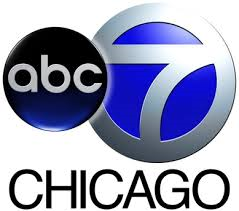 7's Morning News will be broadcasting live from Geneva's historic Third Street to promote the start of Swedish Days Tuesday, June 17! 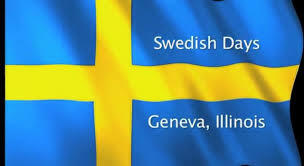 Visit the City of Geneva website for all the details and come show your community and Swedish Days spirit! If you would like any information on local real estate, visit our website at www.therulloteam.com. 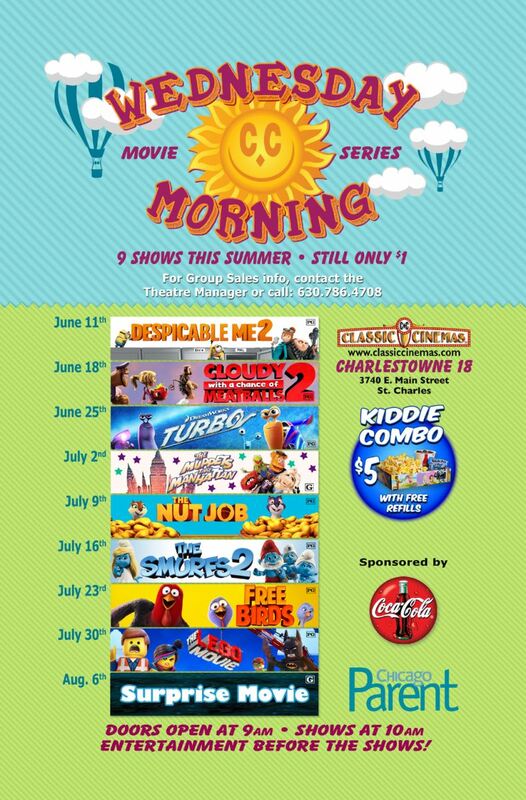 Classic Cinemas recently introduced “$5 Tuesdays,” a weekday value where patrons can purchase tickets to showings at the Charlestowne 18 Theatre for only $5 each Tuesday. The $5 deal is available all day. The price per person includes new releases, with 3D showings offered at an additional $2; this special program excludes special events. For more information and for other participating Classic Cinemas locations, please visit the Classic Cinemas website. The Series will run for 9 weeks, kicking off on June 11th and continuing every Wednesday through August 6th. The Series is perfect for all ages, showing G and PG rated movies! Admission is only $1! The movie will start at 10:00 a.m., but come early to meet some of your favorite characters and join in with the fun games and activities. 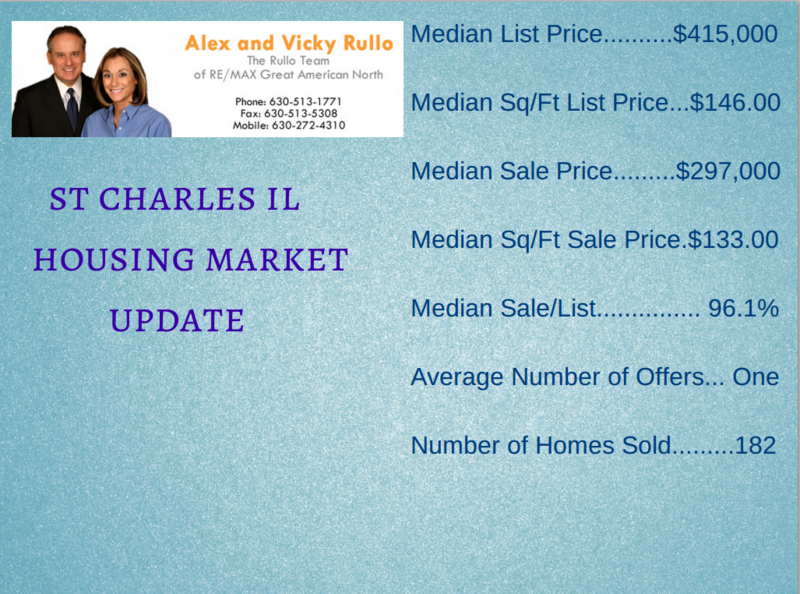 Alex Rullo Vicky Rullo The Rullo Team Buying a home in St. Charles IL St Charles real estate St Charles Real Estate Agent Charlestowne 18 Charlestowne Theater St. Charles Movie Times Things to do in St. Charles. Year after year, smiles return to faces at Swedish Days, Geneva’s Midsommar Festival. During this 6-day celebration, the whole family can enjoy a parade, great food, carnival rides, live music, Sweden Väst, and many children’s games. Back by popular demand – our Geneva’s Got Talent Contest! Enjoy our hometown festival and all Geneva has to offer! See you there! Visit the Geneva Chamber of Commerce website for more information. Alex Rullo Vicky Rullo The Rullo Team Swedish Days Things to do in Geneva Buying a Home Buying a home in Geneva IL Geneva Real Estate Geneva Festivals Geneva Real Estate Agent. The Pavement Preservation and Rejuvenation program involves the application of surface treatments to various County roads in order to extend the service life of the roadway. Subject to change, six major Kane County roads below are scheduled to be treated in the following order, beginning the week of June 2, 2014 and, weather permitting, scheduled to be complete by July 14, 2014. The roads being treated will remain open during treatment and may be reduced to one lane travel using temporary daily lane closures. 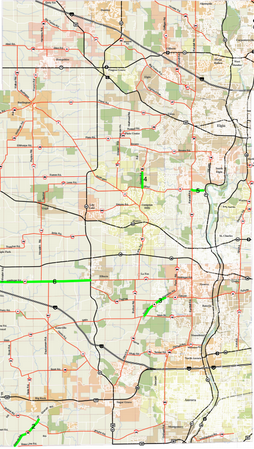 For all Kane County Traffic Advisories, see http://www.co.kane.il.us/dot/trafficalerts. 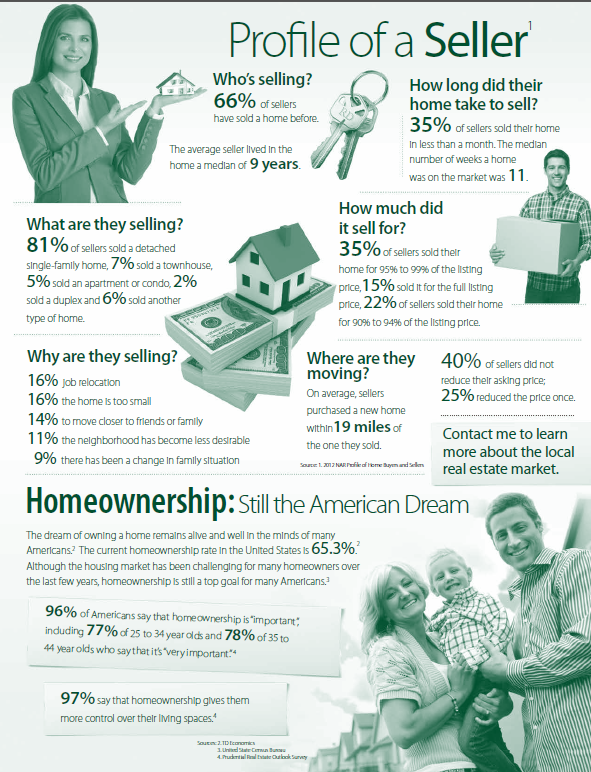 Are You Considered a St Charles or Fox Valley Home Seller? The 2014 season opens at 10:30am on Saturday, June 7. The Shodeen family recently gifted Mill Creek Pool to the Geneva Park District. The pool is located at 39W125 S Mill Creek Drive in Geneva. New Gold Pool Passes to both Sunset Pool and Mill Creek Pool are available for purchase at Sunset Community Center, 710 Western Avenue, and the Stephen D. Persinger Recreation Center, 3507 Kaneville Road. Pool passes are available for individuals, seniors and families. 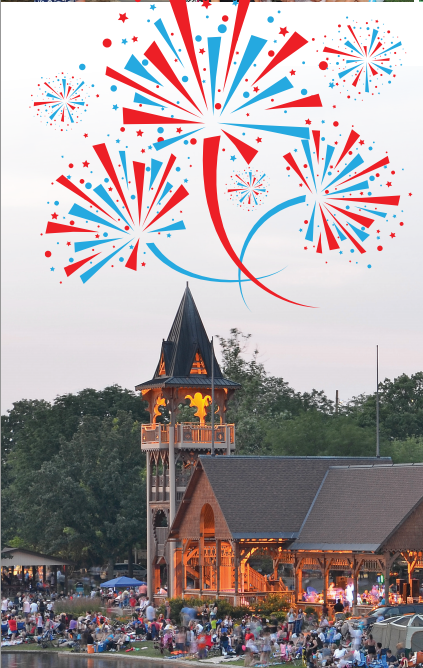 For more information, call (630) 232-4542 or visit genevaparks.org to find information on daily fees and season pass fees.